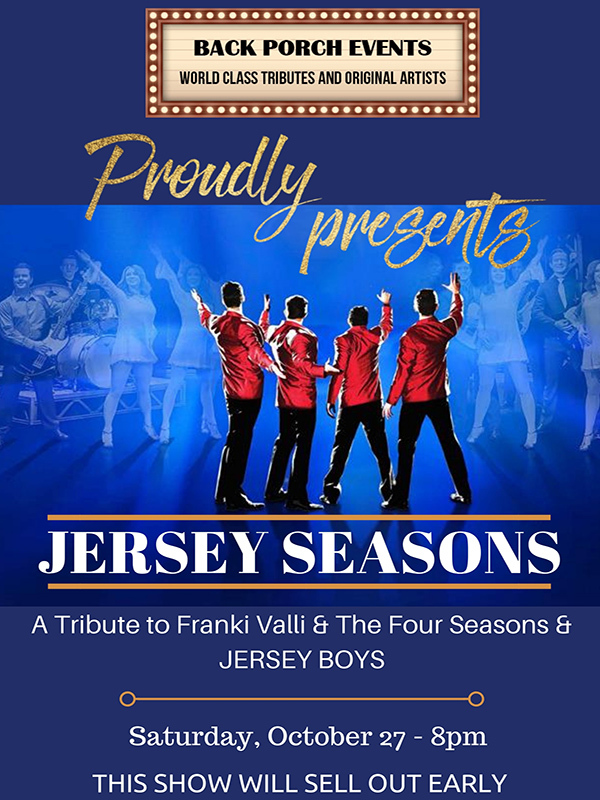 Recently, the Broadway musical Jersey Boys became an international hit and brought attention to the hits from the 1960s especially The Four Seasons. Gavan Rousseau, 22, expresses the vocal quality of a young Frankie Valli that is reminiscent of his appearance on the Ed Sullivan show in 1962. Close your eyes and it’s Frankie Valli. Backed by the fabulous Gem Tones and incorporating the look, instrumentation, and harmonies of the original Four Seasons, this group will bring back memories and songs like Sherry Baby, Walk Like a Man, Dawn, Rag Doll and Can’t Take My Eyes Off Of You with ease and the nostalgic flair of those years gone by.